B&W. 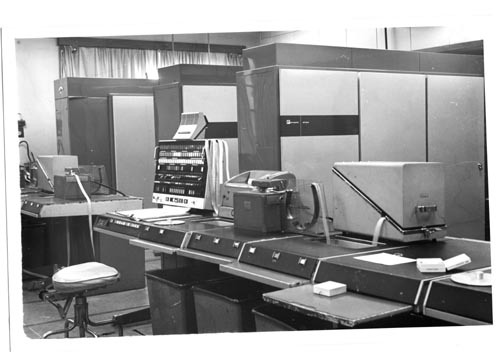 Close up view of the Atlas computer console, showing the paper reader and punch, collection bins and the console itslef with rows of buttons. In the background are three rows of computer cabinets.